One day, my house will look like that. I just parted with three...and acquired another four. How they continue to multiply is anyone's guess! What a beautiful collection, Robert! I'd love if my house looked like yours. 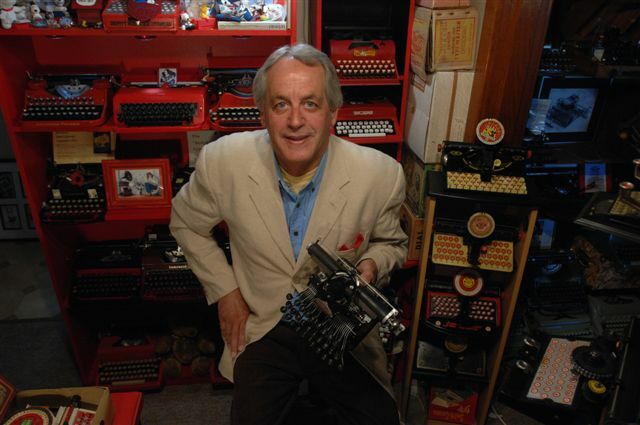 Can anyone ever have TOO many typewriters? I feel your pain, Robert. I too am having to sell some of my typewriters (and other collectibles). But, on the bright side, that means 1) there's more space to show the machines we do keep, and 2) we'll have more space to fill when we get on our feet again.